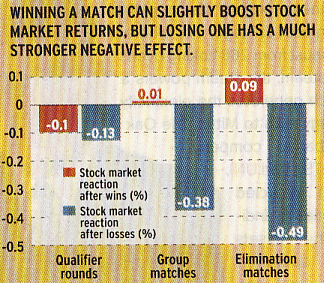 There is a very interesting study coming out in The Journal of Finance that looks at the connection between wins and losses in the World Cup and the respective stock markets of the countries involved. 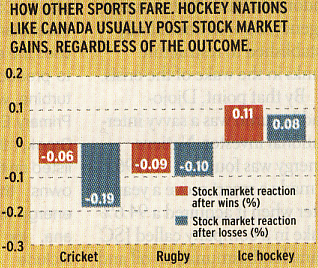 As noted in the graph above, the effect of wins and losses is not the same magnitude. Human nature being what it is, disappointment is more bitter than the sweetest victory. So does this mean with the elimination of Germany we short the DAX and go long the Mibtel? What about Brazil’s game against France? Long CAC and short Bovespa? The more pressing question for me is where in the world was the Brazilian defense during that game? Sheesh.